Qdoba is like Subway, with the build-your-own style, but better because it’s Mexican. There’s a wide range of options for meats including chicken, steak and shrimp. There are also vegetarian options like the three-cheese nachos. From there, you build your burrito or taco to your liking. I chose the route of a burrito with chicken, brown rice, three-cheese queso, Pico de Gallo and shredded cheese. It’s a favorite of mine and a delicious, filling meal. Home Run has hella good fries and burgers. I haven’t tried anything else because I’m comfortable with my life decisions. It’s one of the few places that you’ll feel terrible after eating, but you’re completely okay with it. Don’t plan any activities after eating here because you won’t be up for it. I almost called into work one time after eating here because I threw down a little too hard. This isn’t a place you’ll want to eat at more than twice a month though, so plan accordingly. Mt. Fuji is a great place to enjoy Asian cuisine. There are numerous options for appetizers, soups and salads, fried rice, hibachi, bubble tea and smoothies. Nearly all of these options are reasonably priced under $11, and have generous portions. A plate of chicken hibachi, which is served with vegetable fried rice, costs $6.85. The food is well-seasoned and flavorful. The delivery is fast and the Tea Lounge in the seating area is a good place to relax and study while you eat. All of these factors combined make a 10 out of 10 experience. Need to feel like a hipster, but don’t want to leave campus? Quills has you covered. With a large menu, Quills can serve anyone from the coffee-hater, to the pretentious guy that drinks only espresso. While I love regular coffee, I went for something a little more frilly, the maple spice latte. At $4.50 a pop, this isn’t your everyday cup of joe. Even though it was pricey, it was worth every penny. Aside from the drink, Quills puts out some nice bakery items, like homemade Pop-Tarts. 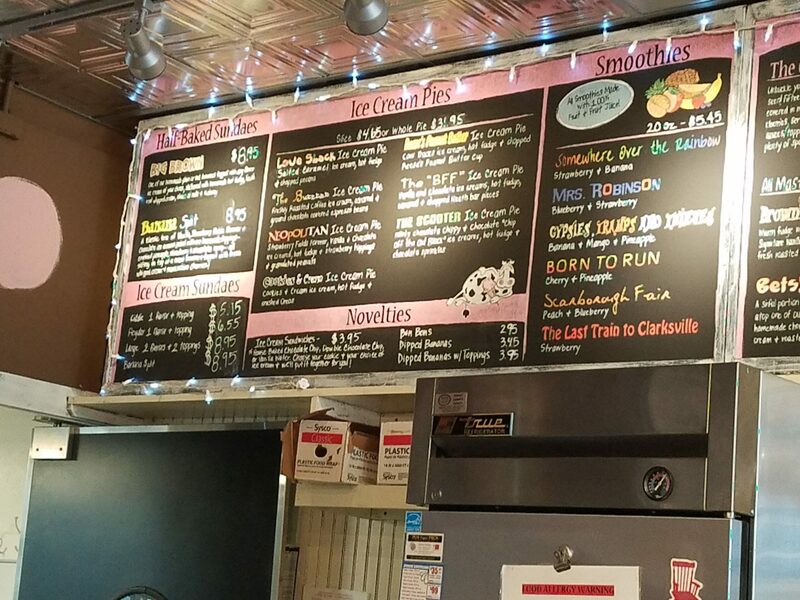 This ice cream parlor is the perfect spot to grab a sweet treat after class. The staff is friendly and ready to help you sort through Comfy Cow’s multitude of flavors and options. There’s even a Cardtowne discount. If you’re not a traditional ice cream fan, the shop has alternatives. You can satiate your sweet tooth with brownies, milkshakes or smoothies. A regular scoop will only set you back $3.95. There’s also take-home options so you can feast in your pajamas like a professional. It doesn’t get more efficient than Jimmy John’s. Open every day until midnight, they’re the most reliable restaurant on the strip, and an absolute go-to if you’re in a pinch.